Gottfried Silbermann was born on January 14, 1683 and passed away on August 4th at the age of 70 in 1753. He was born in Kleinbobritzsch to a local carpenter by the name of Michael Silbermann. A lot of what he did as a young man is unclear but, one thing we do know is that he obviously moved toStrausburg,Germany at 19 years old in 1702. Until the year 1732, Silbermann was most known and had gained great wealth as an organ builder inSaxony. He was noted as being very difficult to work with and quite an unusual style of management as “non-negotiable”. When he wanted something done it was to be done quickly and without question even when dealing with vey influential people and the likes of Johann Sebastian Bach. Consequently he built approximately 50 organs in his lifetime and 29 are still in existence today. 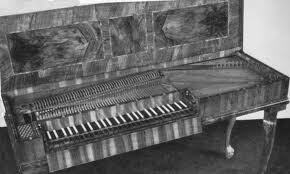 It is widely believed that Silbermann built his first piano in 1732 about 1 year after Christophori had passes away. Somewhere around 1725 an article appeared about a newly invented piano which caught Gottfrieds attention. As a harpsichord builder, Silbermann had quite a lot of experience of proper sizing of the keys themselves. On a sour note of his career, Silbermann had very closely copied Christophori’s inventions but could never correctly copy the back check. The back check helps to give the player a correct response but, he overcompensated by having almost perfect designs in the cases, strings, soundboard, strings and keyboard spacing. What made Gottfrieds pianos so important were his inventions and additions to the original design. He created a series of dampers that would allow the dampers to lift off the strings when the notes were played and a device that would hold the dampers off the strings for a sustained effect on the sound. Today we know this as a damper pedal which he eventually added but in its original design there was a hand stop kind of device. Johann Sebastian Bach was asked to play one of Silberman’s creations and it is said that Bach criticized the piano, saying that the tone was weak and the keys were too hard to play. Although this made Gottfried extremely angry he went back to work and corrected the criticism. Bach was so impressed that he later participated in the sale of one of his instruments. Silbermann’s loved teaching others the craft of piano building. Among his students was a young man by the name of Johann Andreas Stein who was a master piano builder in his own rite. Stein perfected the “Viennese action” which was praised by a very well known group known as Haydn, Mozart and Beethoven. There was a group that became known as his “twelve apostles”. Among this group was Johannes Zumpe who made the square grand design famous and Americus Bakers how invented the “English Action”. Silbermann’s who, as I stated earlier, was known as difficult at times demanded quality. Although some of the builders that came directly from him compromised his original ideas and created some very difficult actions to work with. Fortunately because of Mr. Backers as well as some others the original action continued to exist and finally Henri Herz and Sebastian Erard went on to make those original actions better and are the original designs are pretty much still widely used today. 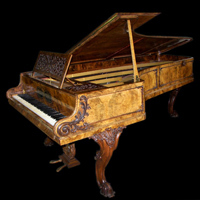 Although Cristofori was the original builder of the piano Silbermann often got the credit for it. His fame and influence was incredible as was his reputation for his demanding perfection. What a great man in our history. Its a pleasure to announce that I have been asked to be a guest blogger for Http:vintageandrare.com in Europe. I have enjoyed sharing my ideas and thoughts. If you get a chance stop by and take a look. I hope you enjoy. 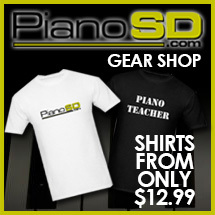 Visit http://PianoSD.com when you have a chance. Years ago I saw my first one and was totally taken by it. I’m talking about Collard and Collard pianos. Being from the south I had to smile at the name because in North Carolina collards are greens that are cooked with fat back and extremely delicious. However, after some research I learned that this was not only a fantastic piano but a wonderful design as well. LL&B was a publisher who published the music for a local celebrity known as Muzio Clementi. Clementi had risen to great fame and fortune at that time and was growing in popularity and was a large part of their business. Unfortunately, their success was to be short lived and by the year 1799 they had run into some financial problems and offered their company for sale. By the latter part of 1800 a brand new company emerged that was primarily owned by none other than Muzio Clementi. Along with a very stable F.W. Collard as well as three other investors. The new piano was to be named Muzio Clementi and Company. It’s not clear exactly what year the minor investors left the company but in 1817 F.W.’s brother W.F. Collard became a partner. Business continued to grow and in 1831 the relationship with Clementi came to an end because Clementi’s contract had expired. 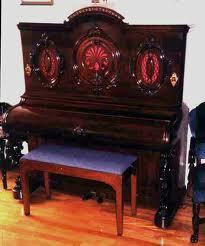 In 1832 the famous Collard and Collard piano was born as a joint venture between F.W. and his brother W.F. Collard began. In 1842 after 10 very successful years William Fredrick Collard retired and Frederick William (yes, the names are the same except in reverse) became the sole owner of the company. At this time in need of help F.W. made his nephews Charles Lukey Collard and F.W. Collard Jr. a partner in the firm. The years ahead were met with some changes. One of the major changes that took place was the new partnership decided to get out of the publishing business entirely and would have liked to get out of the musical instrument business making brass and stringed instruments but because of some contractural agreements were unable to. It seems that years before they had signed an agreement to build instruments for India and had to continue until India was transferred to the Queen and they were released from their contract and could now give their entire efforts over to building pianos. The next few years brought many triumphs and tragedies. Among the many success were numerous awards because of F.W.’s brilliance as an engineer and piano designer. They were also ahead of the curve in building extremely popular models that were very lucrative products for the company. In 1807 the Tottenham Court Road factory was completely destroyed in a devastating fire and later in 1851 the Oval Road factory in Camden Town burned to the ground. Then in 1860 F.W. passed away in the same house on Cheapside where he had originally lived when he first got to London and had lived in the same place since he was 14. In 1866 W.F. passed away. By this time Collard and Collard had become one of the most celebrated companies in Europe. It’s destiny as a family owned company came to and end in 1929 when ChappellPianos of London purchased them. Collard and Collard remained in production until 1960. My hope for each of you is that you have the opportunity to see and hear one of these pianos. They are a nice playing piano but an incredible looking piano as well.